Kraków has always been, in many respects, a charmed city. With a history that dates back to the 4th century settlement of Wawel Hill, Kraków has fortuitously avoided destruction since the pesky Mongols stopped bullying the area in the 13th century, growing into one of the most prominent cities in Central Europe. The most important city in Poland not to come out of World War II looking like a trampled Lego set, even the Soviets failed to leave their mark on the enchanted city centre during 45 years of supervision, forced to erect their grey communist Utopia in the outlying suburb of Nowa Huta. As a result, Kraków is today one of the most beautiful showpieces of Central Europe – a claim validated by its historic centre’s inclusion on the first ever UNESCO World Heritage List in 1978, along with the nearby Wieliczka Salt Mine and only ten other places in the world. A city of majestic architectural monuments, cobbled thoroughfares, cultural treasures, timeless courtyards, priceless artworks and legendary beer cellars and gardens, Kraków’s historic centre is the pride of Poland. 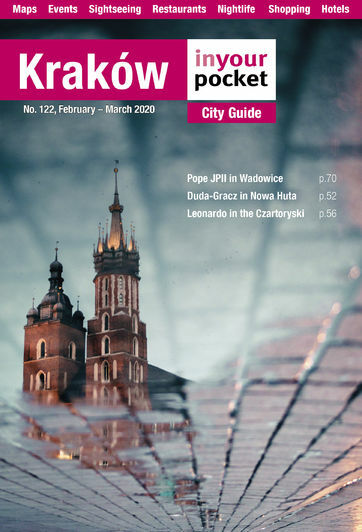 Kraków’s centre can be divided into two main sections – the Old Town and Kazimierz (the former Jewish Quarter), with Wawel (the former Royal Castle) towering between them. These three areas are requisite for anyone visiting the city and have been given their own separate treatment with accompanying cultural listings within this guide. Though one could spend their life wandering in and out of the cobbled streets, courtyards, cafes, clubs and museums of the Old Town and Kazimierz (we’ve attempted to make a life out of it), don’t hesitate to take a trip across the river into Podgórze - arguably the city’s most evocative and mysterious district; the Jewish heritage trail also naturally leads you from Kazimierz into Podgórze, where the worst horror of Kraków’s Nazi occupation played out and Schindler made a name for himself. Just west of the Old Town lies Salwator - Kraków's greenest district, and home to one of its most unique outdoor attractions, Kościuszko Mound. Within these pages you’ll also find a section devoted to Nowa Huta, one of only two planned socialist realist cities ever built. Designed to be the antithesis of everything Kraków’s Old Town represents, both culturally and aesthetically, the commie comforts of Nowa Huta are only a tram ride away. Those staying in the area for a week or more should strongly consider day trips to Wieliczka, Auschwitz-Birkenau and Tarnów. However long your stay, our meticulously updated information will help you make the most of it. Enjoy exploring Kraków and Małopolska.